Speculation in the real estate market has generated such a high rate of housing vacancy that it could lead to social disorder and financial problems, an economist with the Chinese Academy of Social Sciences says. The government, meanwhile, crosses its fingers. Beijing (AsiaNews/Agencies) – At least 64.5 million houses are lying vacant in China. This is sign that the property market is in for a tough time in the not so distant future. Indeed, the mainland’s real estate sector is dangerously overheated, and could threaten the country’s financial and social stability, a prominent economist wrote in an official newspaper today. Yi Xianrong, an economist at the Chinese Academy of Social Sciences, noted that estimates from electricity meter readings show that 64.5 million apartments and houses stand empty in China’s urban areas, many of them bought by people counting on a constantly rising property market. 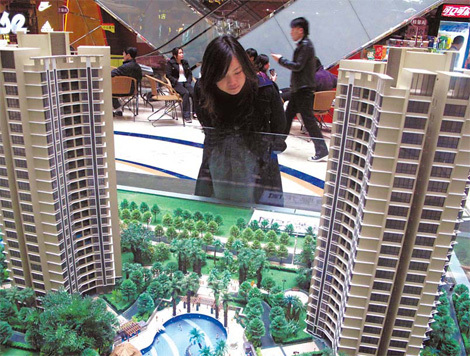 Writing in the People's Daily, Yi said the level of empty housing was “shocking”. “If this outsized property bubble does not burst, it will hurt residents' well-being, and also affect national financial security and co-ordinated national economic development,” Yi wrote. In his opinion, the overheated property market was misallocating resources, distorting prices and squandering the wealth created by economic growth. Even though the article was published in the newspaper’s overseas edition, that it was published at all shows how much the government is afraid of the bubble and the instability it might generate. Indeed, Beijing has already adopted a number of measures over the past few months to cool the property market, including raising down payments and mortgage rates. However, they do not seem to have had the desired effect yet. Property prices continue to rise nationwide, 0.2 per cent last May. This is especially hard for the weakest segments of the population. “The problem now is that investment in the domestic property market has completely overturned China's traditional concepts of wealth management,” Yi explained.